The Stampede String Band bring "Indiana's Freshest Modern Folk and Bluegrass" to venues across the state, and maybe even beyond. Three part harmonies are accompanied by bass, mandolin, guitar, banjo, and harmonica, achieving that old-time sound with all the energy and finesse of modern music. 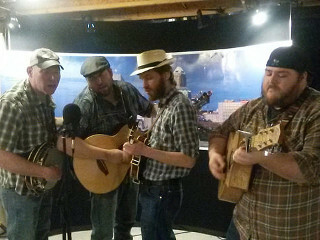 The Stampede String Band began in April 2011 when Kyle and Aaron met through Craigslist, looking to play music the likes of Ray LaMontaigne and Mumford and Sons. Soon, Aaron convinced office-mate John Bahler to come down for a practice. 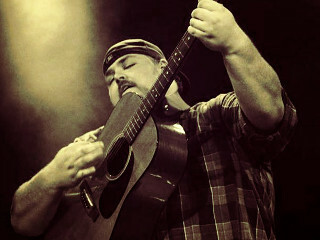 That first night, John's Bill Monroe inspired mandolin picking solidified the sound they'd been searching for. They formed Aloysius and the Stampede. From there, it was local festivals, bars, and coffee shops, playing to larger audiences and earning invitations to return from each venue. Realizing that even they couldn't spell Aloysius most of the time, in May 2012 they decided to switch to The Stampede String Band, keeping the memorable Stampede moniker and adding an apt description of the bands composition, history, influences, and goals, as a string band.